Obama-Kerry Iranian Appeasement in the Trash – Is War Next? 2018 California Voter Guide – Stop the do nots, from Ruling the Doers. A few short hours separate us from the start of municipal elections across Israel. As always, the outcome of the election in Jerusalem is of supreme importance, not only for our ancient and holy capital, but for Israel and even the Western World at large. First let us remember what happened last election. It was a clear race between Nir Barkat (the current mayor, who chose not to run again for a third term since) and Moshe Lion. Lion was a successful accountant from Givataym (Tel-Aviv area), and was not very well familiar with nor prepared for the intricacies of a mayoral election in Jerusalem (not to mention an actual administration). He was “drafted” by current Defense Minister Avigdor Lieberman’s group to support a right-wing municipal administration in our capital. The strategy was pretty plain and simple. Lion was Sefaradi, like the majority of Jersualem’s population, and observant, also like the majority of Jerusalem. Lion has close ties with many Likud and Ysrael Beiteinu power-brokers (the Likud itself was a client of Lion’s accounting firm in the 90’s), and seemed to everyone as good as a Mizrahi candidate as any other. Nir Barkat was neither observant nor Sefaradi, and the whole strategy was based on this.But that was the method, there was a much nobler goal in mind. The method proved far too shallow. Nir Barkat was not only quite different demographically from Moshe Lion, he also was the polar opposite in the ability to impress. Nir Barkat served in Sayeret Matkal, Nir Barkat made millions in the private sector, and he was an intelligent and articulate man. Moshe Lion less so. Back in 2013 (has it been that long?!) I attended a talk Moshe Lion held to clarify his positions. I knew there was an ideological reason for his candidacy and wanted to to see if I could find reasons to support him. The first lesson was never to run for mayor, even of Jerusalem, the crowd was mostly on the elderly side, and mostly on the female side, and they very seriously demanded answers about certain pot holes on the road and late bus lines at certain bus stops. Lion is a fairly successful man, and I am sure had little experience with public transportation in the last couple of decades at the very least, and even less experience in Jerusalem, to where he was a newcomer. He was neither impressed with the questions nor impressive with his answers. It was not only clear that the subject matter was all foreign to him, but that he cared little for it. Near the end of the session I decided to try another approach for the poor chap, raised my hand and was reluctantly called on by the candidate who seemed to be bent on capitulation if he had to pretend to be familiar with one more bus-line number. Yes… Yes… THAT is the difference, THAT is why I am running, and THAT is the difference between Nir Barkat and myself. Nir Barkat is an impressive man. If elections were meant to be about that I’d certainly would have supported him over Moshe Lion. If they were about IQ, we could get rid of the whole thing, and just administer a few standardized tests and have clear winners. If they were about looks and personality, we could see who would be elected Prom Queen. Sadly, people quite often think they are about any one of such things, but they ought to firstly be about ideology. That is why there are political parties, and things like Primaries (in the US). People with like ideologies first decide between themselves (that is a place where charisma, intelligence, and many other factors have a place… choose the smartest of the people whom you AGREE with). They do this to then back the same candidate, and not split the vote between people of like minds, and allow people of opposite minds to win. That is why parties are about ideologies, and not about intelligence levels, looks and charisma. If that was more important, then all beautiful should form a party to elect the MOST beautiful first, and not have to Gd forbid, split the vote amongst several beautiful candidates in the general election and have an all-together outside Ugly candidate win! The way people today vacillate between candidates of completely opposing ideologies by going… “Well, I like him, he is intelligent, but she I like how she is down to earth and is a self-made woman” is insane. They should have stopped voting at that formerly mentioned election, the prom queen. Today’s media bombards with the buzz terms of the day, month and decade of course and we are told over and over that never has society been more polarized. But this is hardly the case. In the case of the USA it is in many respects less polarized than ever. Polarization in political terms requires ideologies, and people have less and less of them. Americans may be highly polarized about their thoughts about their current big-haired and big-everything President, like they are about what they think of the kardashians. Like Trump himself, they are not very ideological. In the past, elections were mostly conducted over long newspaper articles, and pamphlets. Thoughts had to be spelled out and argued, without TV and the Internet, voters had never even seen or heard either candidate. It was their platforms, and ideologies that carried the day. This is also a much more civil way to disagree; your opposition is to the beliefs and policies, just as good intentioned as yours most likely, of the opponent, not to him personally. The level of vitriol and shallow petty hatred today in political discourse is that of the high school politics of voting on popularity. Support and opposition are very personal, and meaningless. Nir Barkat was an impressive intelligent man, and a leftist. Of course you cannot be mayor of Jerusalem by being the sort of leftist that exist over in Tel-Aviv or San Francisco but a leftist non the less he was. I found the idea of a in intelligent and leftist man of action to be particularly dangerous. A dumb leftist is likely to “achieve” little and thus harm little. Not Nir Barkat. One of his interviews illustrates this point, and left me completely speechless at having learned such a hopeful fact and then destroying it before my eyes. Barkat was touting his “centrist” approach, as leftists like to do. He also was showing the difference between a man of action and himself. When he came to power he said, he was confronted with many previously unknown issues such as Silwan. Silwan is a dangerous Arab neighborhood directly east of the Temple Mount. It was a few Bedouin huts if that in 67, but has grown enormously under Israeli rule. It’s citizens go to the Al-Aqsa Mosques and others in the Old City due to proximity and get radicalized by the Waqf and Imams that would be considered extremists even in Gulf States like Qatar or the Emirates. This leads to frequent terrorism emanating from the town. Barkat was surprised to learn after asking for records, that out of x many hundred buildings in Silwan, only a small handful (the number was tiny, a dozen or less as I recall) were legal. Hundreds of buildings were illegally built. Israel is very different from the US in the transparency of records and information, and this is the kind of thing you may not come across unless the mayor happens to tell you in a televised interview. I was thrilled, if Silwan is illegal, it can be demolished, and would be in a country of laws. Barkat goes on to say how he had three bad choices. He could simply let the Arabs continue to build illegally and legalize everything they build which is a bad choice he said. He could bulldoze all of illegally built Silwan which is also a terrible choice (he didn’t explain why, but leftist seem to know this kind of thing innately), and thirdly, he could, as his equally leftist predecessors (such as Ehud Olmert, the loser) had done, do nothing. Simply accept the fact there are hundreds of illegal buildings, an entire illegal town, within his Jerusalem jurisdiction (and Silwan is just an example of what is repeated endlessly in east Jerusalem). This a man of action could not do… so he came out with a third and creative way (leftists always love to say they are centrist and creative, but they are just leftists); he would legalize all the current buildings because we cannot undo the past, but draw a red line and from “NOW ON” (yea sure), would enforce the law and demolish any new illegal buildings. Absurd (Given this misguided policy, Jews and Jewish groups can buy Silwan house by house, a fight we must conduct everywhere in Israel). This is the danger of an intelligent candidate of an opposing ideology, and I had been proven correct yet again. Olmert would do nothing with illegal Silwan, nothing good and nothing bad… leaving the hope for a better man in the future to have cleared it. But an intelligent leftist will execute his leftist agenda. Barkat thought, as the people in his camp tend to, that the conflict with the Arabs, at least in Jerusalem, is due to the fact previous mayors had “neglected” east Jerusalem. By being a man of action and pouring resources and moneys into the east, he would “Integrate” East Jerusalem and its Arabs to West Jerusalem. The examples are many, and analysis of this issue and Barkat’s administration would deserve its own paper at least, but needless to say Barkat built the Arabs their infrastructure and programs, at our expense, to the increment of their disdain for us. He built them their train, to bring them by the thousands into downtown Jerusalem, which they destroy and burn on a weekly basis. Under his attempt at integration Jerusalem exploded into violence, daily knife attacks and terror (not to mention so common that the mayor himself drove by one knife attack and had the opportunity of a political lifetime to play the hero (along with his armed bodyguard) while being caught on street cameras; which to his credit he did quite well). Integration of this kind will lead to the end of the Jewish state. A failed integration as Barkat tried only increases our enemies’ disdain and decreases his respect towards and fear of us, it invites violence and destruction. And a successful integration would be the end of Israel as Jewish state even faster than failed one. But knowing this leads me to a certain ideology, and every ounce of intelligence Barkat may have, I knew would be used to the detriment of Israel. Moshe Lion knew nothing of pot holes, he was here to fight the Arabs. Lieberman sent him to do just that. He was here to make sure Jerusalem stays in our hands, and does not fall to the enemies by the impressive plans of our impressive well-meaning but mistaken compatriots. Because the Arabs have learned long ago, that for the moment at least, it cannot fall to them any other way. This is the not so brief background of the current state of affairs. No more Barkat, but Lion is back. Making even less of a case than he did last time, and more sectorial than ever, relying on the backing of Shas, and not even having Lieberman’s official support anymore. Who holds the right ideology? 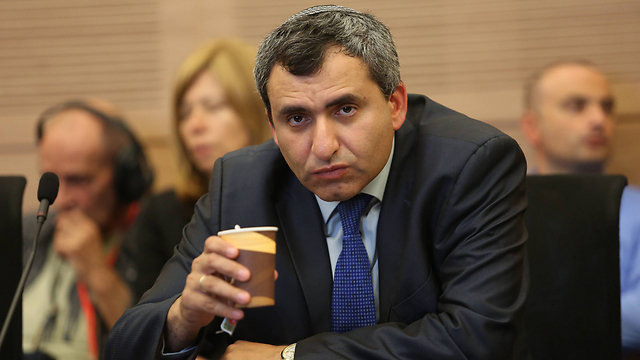 Even though he starts off with a good story (learned Hebrew in the USSR, became interested in Judaism though growing up secular), and has Bibi’s reluctant support (though not the Likud’s) Elkin is the prototypical politician. He started off in Kadima, an extreme left party whose only raison d’être in this universe was the execution of the Disengagement plan, and as the party died he abandoned ship and joined the Likud. He is constantly surrounded by allegations, proven and unproven, of backdoor dealing and wheeling, and engages in the most politically convenient and lowest forms of attacks on his opponents. He said the extreme left for example (which in Jerusalem doesn’t fly) was backing his opponent Ofer Berkowitz. His campaign provided certain false evidence, and this in turn led to the revelation that several very leftist groups were actually in Elkin’s inner circle. Elkin is just a politician, and a bad one at that, perhaps well meaning I am sure, but I place him near the bottom of this list. Said plenty about him above. This party is unfortunately getting a lot of good folks’ support. The Lighthouse Keeper being an expert in politics quickly saw through Berkowitz and his nice sounding platitudes. This assessment is difficult for me to write because I well acquainted and friendly with some of the young people on his list (Berkowitz himself is about 35 and his list younger yet). Some of those people are of the highest quality and well meaning folks among us (and others are not). 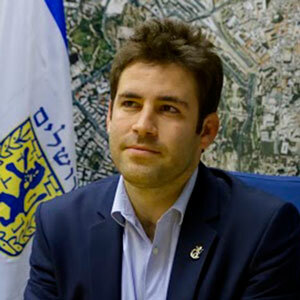 Yoni Mann for example, is a true Zionist, and would make a dedicated, intelligent and open minded (in a good sense) council member. He has a continuing to fight for Israel regardless of tomorrow’s outcome and his associating with Ofer. That being said however, Berkowitz is motivated by nothing else than a disdain if not hatred for the haredi (the Orthodox). His call to arms in “Hitorerut” is nothing more than a call for the use of government power to stop the demographic trends in Jerusalem; not between Arab and Jews, he is unconcerned with those statistics, but between secular and religious Jews. Ofer certainly has energy, and probably more than his opponents and him and his party are easily attractive to many well meaning secular and even religious Jews. None of the candidates however, have such an odious ideology. 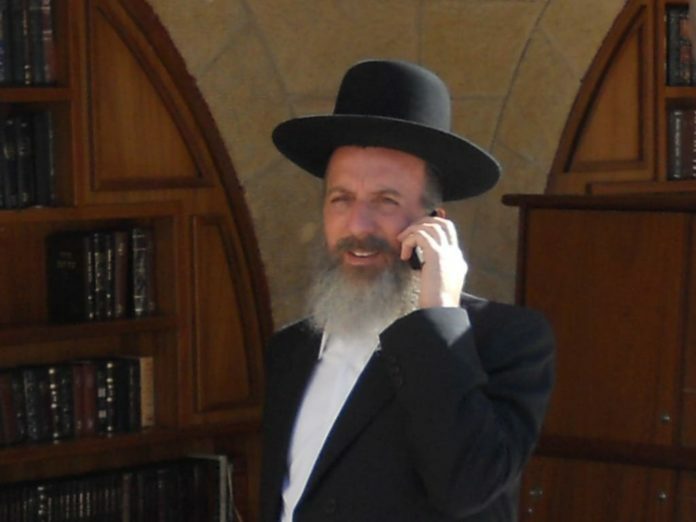 Hitorerut would use whatever means it can, to stop Orthodox Jews from living in certain neighborhoods of Jerusalem, and if they are to be believed at best case, the same means to stop less observant Jews from living in religious neighborhoods (they constantly use “no community at the expense of the other” to suggest this equality of restrictions and ghettos). The party uses all the code words of the left.. for example, constantly reminds us they are “Zionists”. Unfortunately, this is a term that has been hijacked by the left. Right wing parties don’t have to remind anyone that they are Zionists, it’s obvious. But since left wing parties are accused of a lack of patriotism, then they constantly try to use the word. In reality, it doubles for them as an anti-semitic, or at least anti-Judaism euphemism. Secular Israelis serve in the army, and Orthodox do not they claim (which is nearly the opposite today in reality but whose counting) so they are truly “Zionist” and religious folks are not, at least Haredis are not. Look at at the last national election, it is the left wing that called itself “The Zionist Camp”. Back to their residential discrimination policies, take Rehavia for example… it must remain beautiful as it is (and it is!) and free of Haredi Orthodox Jews (which of course it already is not). Could an Arab live in Rehavia under their rule? Of course, we are a democratic government they would quip! They would not dare state that Arabs could not live in certain parts of Jerusalem as citizens if they so chose. Yet the one and only Jewish state on the face of this earth would bar Jews from living in certain areas of her capital because they either observe too many or too few our religious commandments. This whole party’s platform should be repugnant to all of us. It is an example of what happens when good intentions and youthful energy are taught that ideology matters not, just to “go out and do”. Being right matters, and being wrong matters. Or at least it should as heck should. Outside of this main drive, Ofer’s plans are hopelessly socialist, even for Israel, and misguided. Hitorerut wants to incorporate the Gush (Gush Etzion) to Jerusalem, meaning to fall under the municipality’s Jurisdiction… in name of the usual nice-sounding goals gov’t types usually use; improve transportation and access and the like. The Gush currently is one of Israel’s most successful, beautiful and problem-free areas in the entire country. Almost completely (but not wholly) made up of “Datim Leumim” (nationalist/patriotic religious Jews), these are healthy wonderful close-knit communities of some of the kindest and strongest people I have had the honor to meet anywhere on earth. They live in the beautiful Judean Hills, hold the line against our enemies, while continuously wearing a smile on their face and looking left and right to see what good or kindness they can provide to their fellow. Crime, poverty, drug abuse, littering, traffic, is virtually unknown to these folks who take care of themselves, their families and each other they face little darkness other than the significant one of terrorism by the enemy in their day to day lives. They work, pay taxes and serve in the best units of the army. They raise their families without asking anything of the government. These areas are naturally close to Jerusalem culturally, geographically, economically and religiously of course. But they are outside of it in every sense of the word and need not come under the tentacles of its bureaucracy and the municipality. Jerusalem is not the municipality, our eternal capital of Jerusalem and the bureaucracy that currently administers government services and taxation are not the same and ought not to be confused. Obviously these affluent and growing areas would be a boon in taxation for Jerusalem, so that their productivity could feed the bottomless spit of the budgets requirements for big city problems; and politicians who need to buy their voters’ votes always with other people’s money. The drive from Los Angeles to Las Vegas is just fine without California taking over Nevada. Municipalities know how to make traffic, not transportation, and given freedom the residents of Israel would make very efficient transportation without being under the same municipal jurisdiction. Short of that, the state would do a whole much better job of connecting cities, than a neighbor-swallowing single city would. Wherever one looks, Ofer has bad ideas and a worse ideology behind it. It seems likely that he may make it to a runoff in the race. I hope there he is easily defeated. The narrative of the conflict within the Hebrews should not be supported. Ahavat Am Israel, Love of the Israel should be the name of the game, and of course every Jew can legally have the right to live wherever he or she may wish to in the Land of Israel, certainly in in our holy and eternal capital of Jerusalem. We would be outraged if New York or Paris declared certain areas banned for Jews, why would we accept that in our capital? Of course, the demographic trends can worry people whose on the losing end of those trends… but as long as they are among brothers, in freedom, government has no place in it. If Jerusalem is very important to observant Jews, and they keep moving to her, while secular Jews keep moving out, in a free market, then of course the outcome can be a more religious Jerusalem but so what? And how could government stop it and why should it? Herzliya is safely secular because secular folks like to live there and care to pay a lot to live there. It happens to be a lot less attractive a calling than Jerusalem for an observant Jew and so Herzliyah remains almost completely secular. Should the government force a fair distribution there? Free Jewish citizens in Israel should live where they want to live, and landlords, rents, property prices and preferences will influence where they chose to live, but it should always remain their free decision. Certainly, if an Arab can live anywhere in this country, so can a Jew, and any party who is against this principle is a non-starter. Of course many of these arguments would be solved by having the government step out of them… but Israel is mired in such deep socialism that this is hard to imagine. For example, the above war over neighborhoods can be waged by the government by allowing or not allowing schools in certain neighborhoods. Religious Jews value Torah study above most things, and so if we do not allow a religious school in a certain neighborhood, then Orthodox Jews will not move into them. This where socialism leads, to disgusting hatred and the power of brother over brothers. If the Ministry of Education and whole mess got out of education, we wouldn’t need a mayor to decide whether a school is observant or not observant enough to be allowed in a certain neighborhood. The constant call of Ofer’s party to rule for and about the communities “not at the expense of the other” is dangerous and odious. The mayor of Jerusalem should not look to the Jewish residents of our capital and see different and competing communities. In America, a good government should be blind to sectors and see only a community of its citizens, to be treated perfectly equally (this does not include non citizens of course). In the Jewish state of Israel, the only two communities a government should arguably distinguish between are Jews and Arabs (or Jews and non Jews, or Jews and their enemies, or Jews, Muslims, Druze, Circassians and Christians or however you want to put it), and not distinguish between Jews themselves. Certainly not as a matter of policy, and definitely not as a matter of law. The citizens can associate in whatever groups they want, and attend different shuls and even live in different neighborhoods but this should happen by choice and freedom alone, and not by government policy. We are a small and a united nation surrounded by enemies bent on our destruction. The Arabs, are not our partners in the project the Zionist dream to have a Jewish state in our ancient holy-land (nor do they have any duty to be), and in fact they are our sworn enemies in this endeavor. Any government of Israel at any level, national or local, must keep this in mind. For the time being, it certainly looks like we will remain a small nation, but the question is whether we will remain united, and thus invincible as we have proven to even the largest enemy hordes, or deservedly fall a House Divided. A reduction to petty politics of identity within Am Israel, politics of victim-hood and jealous fighting for scraps from the government, and pitching the power of government for and against certain Jewish communities IS at the expense of all of them. Jerusalem must remain completely open for all Jews, and the mayor should not decide which Jews are the ones who care to live here. Israel needs more freedom, not less. 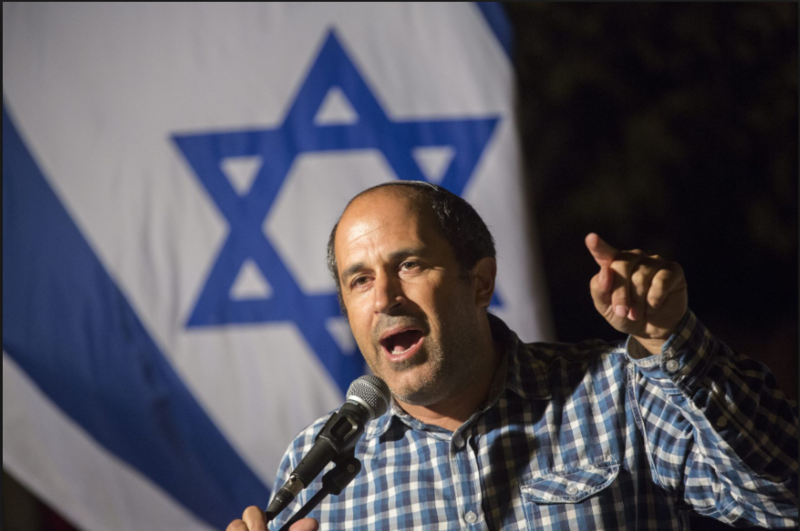 Inciting and taking advantage of fear of the Orthodox among secular Israelis, petty, socialist, inexperienced and full of bad ideas is Ofer Berkowitz. I devote the lengthier part of the article to his party because of my concern with their rising popularity. The idea of young secular Israelis returning to Jerusalem is appealing to many, but people do not stop to think what legal regimes they are backing. Not all our wishes should be supported by legislation. Many things, most things I dare say, are up to the people to do or not do in freedom. Ofer is likely to at least win the chance at a run-off with a second candidate, and in that case I hope all sensible Jews (which now are split among the remaining candidates) unite to hand him and his odious ideas their deserved defeat. On the other hand, while non of the other candidates excite me, they all more or less believe in Jerusalem as the undivided Jewish capital of our Jewish state and would run a normal if not inspiring administration trying to minimize any conflict between any sectors of the community rather than celebrate them and direct them by law. Mr. Deutsch is a truly likable man. He is an Orthodox Jew and a Hassid, and in the spirit of Hassidics has a true love of Am Israel, of all Jews, without ever compromising his beliefs. I think it is easy to see he has good intentions and is a good man. He probably would make a decent mayor, but unfortunately there is little to say about him that is truly impressive, again, we are speaking about the leadership of Jerusalem here and not about being branch manager of a Starbucks. Capitalism and free-markets are probably not something he is acquainted with, and his administration would probably try to do the best it can in refereeing the fight between sectors. Like the left in America, the left in Israel also believes in the politics of identity, in order to split the nation into groups whose interests are against one another’s. The conservative makes that split between his nation and others, and hence he is a patriot. The leftist sees no end to the politics of identity, from ethnic and race to sub-groups and even endless gender identities while at the same time decrying prejudice as the most important goal of mankind. He is as obsessed with race as the communist is ironically obsessed with money and its “fair” distribution. This is being copied over to Israel to our great peril, and the stronger Israel becomes and more secure she is vis a vis our enemies, the more the leftist focus on widening the gap between ourselves. To be honest, this is the only truly right wing choice. King and his party believe in winning the war against our foes, and of Jewish sovereignty over the Land of Israel. He has devoted many years to that cause. But for some reason, he is just not quite my style. There is some gap in essence between him and the likes of Ghandi, Zambish, Raful and even Eldad that bring me pause. Perhaps there I am wrong. King’s list is a perfectly acceptable choice for the council election (he is not running for mayor, just is running with hist list for the council seats). In fact probably very important to counterbalance whatever leftists win. And so our choices this time around, specifically for Mayor are not so good. Remember is that election for party (for the council) and mayor are independent. Something that perhaps comes in handy this time around. Hashem be with Jerusalem today!